Grab the 256GB Samsung Evo Select SD card for just 60 percent off. Smartphones might have more and more storage these days, but you can never have enough. 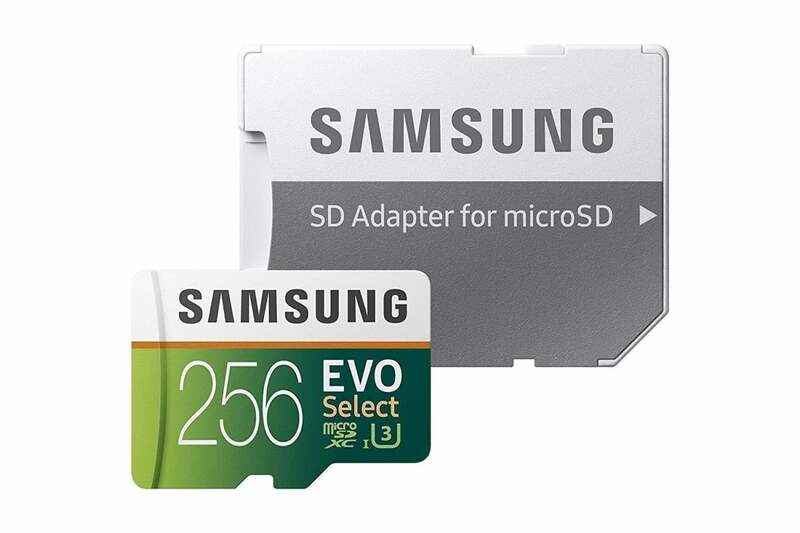 Today, you can add 256GB for cheap witha 60 percent discount on Samsung's Evo Select microSD on AmazonRemove non-product link, bringing it down to $50 from a list price of $120. This little memory card is designed to be fast, with read speeds up to 100MB/s and write speeds up to 90MB/s, as well as the capacity to transfer and store 4K Ultra HD video content. It's also designed to be durable, with built-in protection against extreme temperatures, water, and more. If you're confused between this card and the Evo Plus card, we don't blame you. They're the same, except the Select is the Amazon-branded version. We haven't reviewed this exact memory card ourselves, but we're definitely fans of it and it's a huge hit on Amazon, with 4.6 stars out of 5 across more than 14,000 user reviews.